The V1350 HD Video Drone is faster, easier to maneuver, and easier to master than ever before! Fourth generation V1350 HD Video Drone is updated with all new Flight Assist Features including Auto Launch, Auto Hover and Auto Land! Flight Assist features leverage avionics technology for performance, precision and stability to make learning easy for those new to the world of drones. Choose Manual Altitude for complete control of stunt maneuvers or Auto Hover for hands free altitude control. 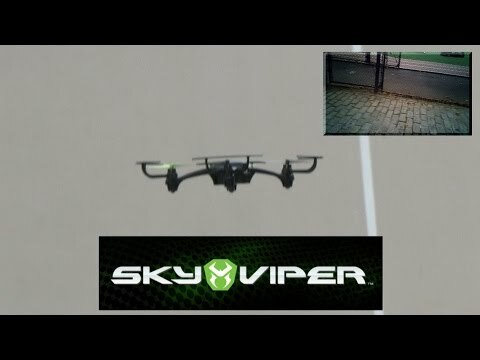 ViperFlight+ firmware results in a fast, stable, and easy to control flight experience. Fly indoors or out with the impact resistant DuraflexTM body. The V1350 HD Video Drone is faster, easier to maneuver, and easier to master than ever before! Remove the camera and it’s a high performance stunt drone executing one-touch flips and barrel rolls.